Respected Trade and Business Consultant Trevor Simumba has strongly recommended that President Edgar Lungu drops Finance Minister Margaret Mwanakatwe from her ministerial post. NGOCC congratulates Hon. Margaret Mwanakatwe over her appoint as Finance Minister. The advice to drop Margaret would have been more effective he’d just ended there, not going on to recommend Ms Banda as replacement, one would now think his recommendation to drop Margaret is because he has a vested interest to have Ms Banda appointed. Absolutely, qualifications and work experience are not enough alone in political appointments. The country needs new breed of politicians with good leadership and management skills. He was speaking with anger and very irrational. Suggesting to replace her with some related to former president Banda my guess is this man is corrupt and is vouching for his personal gain. 1. RB’s daughter!? We always accuse her of stealing for RB and his PF. RB got no morals. 2. Dolika is bad name in Zambian society. She always be insulted as “Dolika Ndaifulila”. Just hold on UPND has Situmbeko Musokotwane, as Finance minister, which is mistake. These name proposals are good. Something has gone terribly wrong at Finance and I cannot put my finger on it but replacing Margaret is not a solution at the moment. Simumba’s suggestions on her replacement not only sound cynical but also rather comically biased. The President knows there are no quick fixes to these issues. One has to get to the bottom of this with level headedness not this Micky Mouse approach. I must admit I was a little embarrassed at one of the answers Margaret gave at Bloomberg but overall the context was right. The Chinese used the same approach she was articulating and 30 years down the road, they moved 300 million people out of poverty. The question is does she have the grit, the gravitas and graphics in place for the schematics to work? That’s the billion dollar question. Maybe useless in the sense that, yes they helped him win but they had Zero competence levels for useful jobs. I wondered why Felix Mutati was removed from his ministerial position if not for political reasons. That is the need to have own MPs run Ministries. You can “cross the flow” where it matters, like in the case of this Ministry. Defy political inclination and choose the best Minister of Finance. Female or male. … to work. I condemned you the moment you removed FM for your own Margaret. And hey, stop using tired people. The article brings out important points. Trevor has a point. Mwanakatwe has stambled badly. Her comments were alarming. She was appointed by RB. Just like Doria Siliya and Catherine Namugala. Nevertheless, Trevor always talks like he KNOWS ALL THE ANSWERS. He needs to calm down his emotions. Fine he has political ambitions. And may this is a way of selling himself. Trevor Maliwanda Simumba, you don’t know all the answers. Listen and learn how complex this issue is. Don’t view it from a single dimension. Trevor, so what if you received 3 calls about the subject. He is also offering a solution in the person he thinks can perform i thats how it should be than yapping and ending there without a solution. This is what happens when you never accountable and transparent at home you end up embarrassing yourself and your country abroad…Lazy Lungu is no different especially when he is taking questions from people abroad he fails to answer questions and simply walks off. Maggie is giving credence to assertions that Accountants do not make good Finance Ministers. Both Mutati and Maggie are ACCA qualified. However, Trevor is missing the point. The problem is not Maggie but the current occupant of plot 1.As long as that man remains president with his ATM as Minister of housing and infrastructure, forget about economic gains. What these guys are doing is no longer corruption but pure banditry. Who buys a second hand fire tender at $1 million but insures it at $250, 000? Whatever we did to deserve this must be huge!! Lamasat is doing dirty bribing to get its receivers removed. If Atlas Mara is not allowed to recover 12 million dollars plus interest, in total over 16 million dollars, it will make a run on the bank that will result in break up of banking system. Atlas Mara is owed 15 million dollars by Larry Sikutwa group (Madison Insurance, Madison Asset Management, Madison Leasing). Supreme Court in its judgment of January 30, 2018 did mention that if 13 million dollars (with interest and costs it shoots up over 15 million dollars) is not paid by LSK group companies, Atlas Mara will not meet capital requirements as stipulated by BOZ. Really laughable …reading BR JUNIOR’s comment he has he can not put his finger on the problem yet states that firing his incompetent auntie is not the solution: did we not tell you when Mutati was sacked for other reasons other than managing finances….at least with Mutati he was respected by people in D.C though he himself was out of depth everything points to the manager who appoints: just like any football club if the team is under-performing the buck stops with the manager who has a say in tactics and procuring players….no responsible sober minded Economist will work with these foooooools the patient is too sick for medication. yoyo – That’s the problem with these Zambian companies, they go to banks rake up loans then default when things go bad the go running to the media stating that banks are bad yet they knew the credit charge for such loans beforehand. Lamasat is on a PR charm offensive even going to the extent of offering that CBU boy internship who was selling rice from Mongu…there is nothing the boy is going to learn from them let him run his business alone not an employee for crooks. I concur, besides to have RB’s daughter as Finance Minister is to have RB on the national purse strings and leaves no doubt in anyone’s mind what that means! RB will not keep his hands in his pockets when he can access the monies through the daughter! If you want Lungu to retain a minister, recommend that they are fired. He is stubborn man who never listens to advice. Now, we are stuck with Dudu until 2021. They will be drinking together. Well Written though you went personal by recommending Ms. Banda. There are a lot of Educated Zambians who can Handle that position, than her. Moreover, she comes from RB’s circles therefore more theft. Enough with RB and his Family. Its time we changed, let people be applying for these Ministerial Posts. Yet another case of hating the player rather than the game. My point being that BOTH maiyi Dudu and ECL are evidently clueless, self-serving players, but even if you replaced these players, whom ever you put there will mess up. WHY? Because it is the system, the game platform that is messed up. Cadres can obviously not perform in positions meant for technocrats, and as long as we have a system that gives the office of the president excessive power to appoint cadres, mu zamu ziba Yesu. President Lungu is surrounded by ‘dead wood’. The like of Nkandu Luo and these drunken sods. It’s like these Ministers are being sponsored to bring down his legacy. The President is too good and kind but these people in his company will bring him down. @Kudos, that song “mwe Lesa chinjeni abanandi” speaks alot. Edgar should sing it every morning. And that Malanji, is another dry mukula log. Lungu is just a dull man epela. No way excuses can be made for him at his level, kwati mwana?? He appoints the deadwood because he is one himself. “All of you Ministers are just useless”, said Michael Sata 2014. A strong statement from the then ailing leader. All not some. Was he just sick or he meant it? One Minister was lambasted for conning him to commissioning a shoddy done road. Yes, Mukanga. GVBM was also useless indeed at the Ministry of defence. Talk about CK. Instead of being fired, he was moved because he was his nephew. Mr Kudo, Please ECL was not forced to have those pipo however he himself chose them as his likes. You will all complain if Dolika is nominated as an MP and made Finance Minister because of the RB connection, never mind her esteemed qualifications. we just have to suffer with Amai Dudu who is the Joke of the Year! Trevor sounds like he was drunk when he was saying all this. Even bringing names like those of Professor Saasa with zero public service experience apart from having been an academic. And just read how he writes about Dolika Banda being RB’s niece and having been raised by RB himself. Surely, how does that help make her case strong for the Finance portfolio? Trevor should be sober before suggesting anything sensible on national matters. Otherwise, he is such a shame himself. So was RB running an orphanage back in the day? Yes please drop Ms Mwanakatwe as finance minister she’s a toxic nuclear bomb on Zambia’s economy.Very clueless ,incompetent and reckless. “Respected Trade and Business Consultant Trevor Simumba…” respected by whom? This one is self-respect, ba mwisho. Comment:Do like Banda has a high reputation across the global world but the Pf government and its party policies will end messing her reputation just like Prof.Chirwa. Cant agree more,you are only as good as the people that surround you,alot of professionals have been messed up by this clueless government and some am sure dont sleep as a result of the decisions they made or are being asked to make. The economic problems Zambia is currently in is due to HH refusing to accept that RB and the MMD had finally managed to get the economy back on track. If HH had supported RB, the economy would be in a very good state! I think Trevor has his own opinion which we must respect, By and large, we also have our opinions, let us be objective, can those castigating his opinion tell us whether they watched this embarrassment of an interview, well Zambia is where it is because of people who are ignorant but want to discard observations and ideas brought about by well informed fellow Zambians. I have noticed that Dolika Banda Simumba and the author share the same name, if he is he recommendig his wife there is something fishy and I don’t like the RB connection. It’s unfair to blame Dudu! It’s the head that is rotten! As long as the rotten clueless head remains at the top and in charge, it does not matter whom you put as Finance Minister! Many people don’t understand why Magande and team excelled. They had the full support and respect from the head to lead the way on economic matters. When you appoint cadres to sensitive positions instead of tried and tested technocrats, this is the economy you get! Our economy with a GDP base of close to $ 30billion cannot have reserves of $1 billion at BOZ. Import cover of only one month, with uncertainties hovering over sales tax, VAT refunds to the mines, the economy is in dare straits. The economic doldrum, prevailing now is testimony enough that things are not okay. Either Mwanakatwe is misleading the President or the visionless leaders is simply interested in remaining in office and cares less about the economy. The austerity measures that have been supposedly put in place seems to have a diametrical effect to their intended purpose of curbing misappropriation and propping up reserves. The back cannot entirely fall on Mwanakatwe its the entire cabinet that needs reorganization. Bein emotional wont help. Simumba talks as if ECL sees the problem. Visionless ECL thinks that Magret Mwanakatwe is doing a fine job after all he is getting “Kasa kandalama” whenever he needs it. Magret is loyal and follows instructions. When she prints ZK23 Billion to finance Govt Expenditures she is doing just fine. Welcome to Hyperinflation in Zambia. Manakatwe talks about vast Oak forests. There is no Oak in Zambia, its a tree for cold climates ! She wants to pay off our debt with our forest reserves ! Then she talks about gold reserves at BOZ. Even the Bloomberg interviewer got confused and started talking about gold mining. However, even here, Zambia has very small gold mining and no large gold mine ! A min of finance cannot just be any joker off the street ! Oak ? Wahaha !! She waffled her way through that interview. She must have been high on something: oak in Zambia, gold, manganese resources are an endowment and Zanbia’s potential but cannot be converted for immediate use to address the mess that PF has created! She threw away an opportunity to instil confidence in the economy. Maybe the economy is so badly broken it cannot be fixed! The just ended bye-elections in Bahati and Roan must be praised by ALL PF members especially the Head of State and Party President, President Lungu because it came just at the right time, mid-year performance review. Clearly from the results obtained, its clear in everyone’s mind that the people the President has entrusted with assisting him run the affairs of the nation have failed, period. Lungu is just dull, I will continue to say this. The fact that he saw it fit to appoint a street cadre like Lusambo as Minister and a person fired by Sata for corruption as infrastructure Minister and another guy (Kaiser) also fired by Sata as advisor speaks volumes about the lack of brains of this man so nothing like he means well, he is just incompetent, period! Someone who means well would not keep a person who was arrested by ACC in office. Using his logic, everyone arrested on suspicion of committing a crime must immediately be set free until evidence is found. Is that the sort of chap one can think means good? Bupuba. The following critical and strategic Ministries have completely failed and President Lungu needs to act now. He has two and half years to correct things only with serious and effective people to help him. Expecting Lungu to make any hard decisions not sanctioned by Kaiser is just a dream mune. Accept that your president is a failure and does not have the capacity to understand a problem and act on it. As long as cadres dance for him at the airport ninshi bena fyonse filibwino, he is that dull. @Malinso I read you blog some days back when Spaka dared you to comment on the dwindling reserves. Yesterday I get to read about Margret Mwanakatwe echoing your exact sentiments on borrowing as an investment for the future. Today you are saying her Ministry of Finance has failed. How? Lungus mindset is for foringners to come and create jobs. Even mwanakatwe was dreaming about rose wood ,mukula, gold ? Lungu should have have been driving all gears forward to have manufacturing moved to zambia for most things we import. A simple observation of how this man champions imports is the just ended agriculture show where he was busy congratulating south african importers of simple farming equipment, he was congratulating them because they had some ” empowerment ” gimickly slogan to their products….. There is totally on hope of resolving Zambia`s current economic and financial challenges under the present regime,brought about by indiscipline and corruption.It is the politics that are fundamentally wrong with the current PF regime.You can appoint anyone as Finance Minster but the current political environment negates positive economic and financial rectification. We first and urgently have to change the politics of this country to restore discipline.Then and only then shall we restore order in the economic and financial management of Zambia. The situation now is critical. the members of cabinet who discuss issues on our behalf are extremely dull. Imagine the likes of Dora, Jean , Bowman, kampyongo and Mumbi including the PF SG being present. these guys, as long as the president has proposed something even if that cant work,they will support that and insult anyone against. Imagine you are a minister of finance with these guys present and talking about micro and macro economic activity, the world economy and south africa in particular which is a key player in our economic acativity, these will not understand and thier contribution will be rubbish but will still insist ECL is right. Currently no MP in PF that can do the job of minister of finance. Soon Zambia will be like Congo DR.
Atleast RB surrounded himself with competent advisors , not drinking mates as advisors like lungu…..
Mwanawasa worked hard on achieving HIPC but reversed everything we gained by giving the mines to the Indians at KCM. The poor performance of KCM has a very big negative impact on our economy as KCM used to be the largest copper/cobalt mine and you can see the impact on Kitwe, Chingola and Chililabombwe. The question is: how did we end up with the Indians at KCM? Was it just because of incompetence in vetting the prospective buyers of the mines or someone had a personal interest?? Is there anyone in PF who knows how to manage the country’s economy or just anything? These PF are only good at spending and have no clue about producing anything, unfortunately people still vote for them regardless of all the failures they have exhibited. Mwanakatwe is clueless and should have never been appointed in the first place. But as usual the president appoints those who are willing to lick and not question critical decisions. It is time Lungu had a serious overhaul of his cabinet if he means well for this country. Dr.Wachinga,Matthew Khuwa,M.Mwanakatwe,Yaluma,Sichilima,Kapamba Mulenga,Michael Katambo,Kamfwa,Mr.Freedom Sikazwe,Mawere,Sumaili,Namukoko,Malanji.SURELY ARE THESE GOOD MATERIALS TO BE MINISTERS?ECL is simply digging his own grave by keeping these people as ministers!!! In my eyes only Dr.Chitalu Chilufya,Mr Mabumba,Richard Musukwa,Dora Siliya,Chiteme,Dr.Mushimba,Vincent Mwale,Given Lubinda,etc deserve to be ministers!!! Nkandu Luo needs to be replaced to! Why suggesting who to replace Mwanakatwe. We have had people with qualifications as ministers but they failed to perform. We have professors at universities, I don’t know the roles they play in the national economy. A female finance minister in MMD really tried. 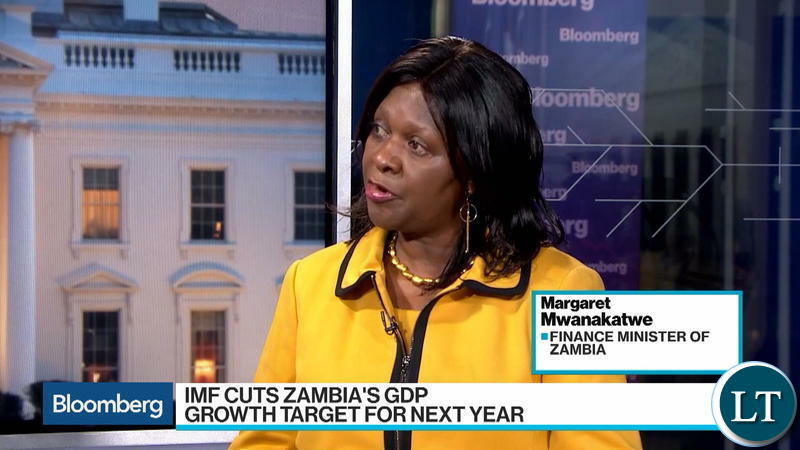 Comment: There are a number very good people in Zambia who can put the economy in order. The President has to cast his net wider. We widened our net and sort for the best Zambian to work for Zambia. We brought in Magande although he had A UPND card number one. We needed to fix the economy with Zambian by Zambians and got it fixed. President Lungu needs to open his search to beyond the PF for such a critical job as Minister of Finance, what about the Governor of the Bank of Zambia or indeed Situmbeko Musokotwane, after all it is for Zambia and not for politics. WE MUST ZAMBIA ORIENTED AND NOT……….. In normal situations , the manager gets sacked….it does not matter who you bring in to any ministery, lungu has failed. Yes, I certainly agree with you in principle that the back stops with the head but the billion dollar question is under the circumstances, is there any leader especially in the opposition that has a clear, well spelt out direction on how he/she will make Zambia a gem in the five year mandate or will it be the old same story of excuses? For me, neither HH nor Kambwili has outlined how they will firmly drive this nation to prosperity. All they are hoping for is to capitalise on the PF mistakes and probably, I say probably get the chance to enter State House and nothing to write home about. It’s amazing how the Zambians who voted for ECL could not see Failure and disaster written all over his face! No one takes their vehicle to a Sangoma for repairs! Vehicle problems are for mechanics! Best qualification for Ministry of Finance is an Economist, not Accountant, unless that accountant has also read Economics! A track record of achievement is what you look for when you want a president! I think Mr HH could have done better where the economy is concerned, not a confirmed fraud who stole from widows and orphans! Ultimately, it’s Zambians to blame! How do you choose leaders? Lungu should also drop Luo. The longer she stays there the more damage to the education sector. Can’t Lungu see these things on his own? The entire pf do not know what they are doing. Stating from the founder. Running eco affairs is not like running a syand at spweto market, its an entire different ball game. We told you this already. As MMD, we know that pf was voted in for two reasons illiterate voters and ignorant biased press. African economies need people who are knowledgeable in economics to run them like the MMD. But in terms of membership content and policy who is UNIP, MMD, PF or UPND ? These are now merely labels for political groupings of people with no economic policy attachments.That is why in Zambian politics it is more meaningful to look at leader personalities and capabilities. Comment:As if he doesn’t know that in PF, it’s not only about credentials alone that qualifies one to be appointed, but a lot more about how talkative, lying with a straight face and violent one is, that guarantees their posts. You can be a professional but if you don’t know how to behave like a cadre, you’re useless. His ministers know exactly what they are doing. They allow him to undo himself completely to create an infinite chance for his removal. On the other hand, he thinks he still has time to finally find that magic wand to assert himself but he is a terrible procrastinator who doesnt even know who his real friends are anymore, and what corrupt gifts he has swallowed is not allowed him to detach himself from the bandits around him. Its going to be an interesting case study for political students, once the entire party implodes. Its a great shame that the Zambian people have to endure such a mediocre leadership thats has caused this untold misery. 2021 its Zambia first, for all Zambians and not just a select bunch of thieves. ECL should wake now. SEVERAL MEMBERS OF HIS cabinet are non functioning. This may trigger a time boom disaster. The first step to solve a problem is to accept that there is a problem but PF is denying that there is no problem in Zambia.We all know that you cant start looking for solutions unless you identify the problem.PF is saying all is well and so it is being naive to think that PF will offer us any solutions.It is a pity that PF is in a stupor and living in Utopia. Cry my beloved country! It is too personal. Don’t make it personal. President picks a qualified person. Give chance to the incumbent. After that, you can recommend to President to find another one. Or are you serving as conduit for manipulating the Constitution order? Let’s be objective before her appointment how was Maggie fairing where she was placed? Just because she worked for a bank does not make her a finance guru . Maggie is clueless and country financial management and these being a key ministery can we get a level headed person. Is Zambia equal to total confusion now? Awe kuti wa pena. i watched the interview. She did well. The problem is that the people commenting do not know why we have a country. Let us think beyond our village. We need to develop Zambia now.!!!!!. We need to sacrifice. Not what you are thinking about.this is the right time to develop Zambia. Give her chance to manage our developmental projects. Ministries are run by technocrats and anyone can be a minister for that matter. If you have dead technocrats, you have a dead Ministry. Don’t tell me the minister will be drafting all those policy matters on his own including writing technical speeches. Lungu cannot fire Mwanakatwe or Sumaili because both were his bosses at barclays and standard chartered. Lungu used to come drunk to work and these two ladies saved his skin by not firing him or reporting him to authorities. Lungu is just paying back now. At least if he cannot fire them, let him switch them. Only thing is Mwanakatwe does not know anything about religion as she also a drunk. If Lungu had the guts he would fire her. Replace an inept minister and bring another one who will also be inept. RB is as corrupt as ECL and by extension his daughter is also corrupt. Of course Mwanakatwe is useless, but aren’t these politicians supposed to work with technocrats who have the actual acumen? Where are all the economists in all of this? Can’t they come together, produce an economic survival blueprint for the country without the Finance minister assuming a useless political stance to make uninformed pronouncements? When Simumba, on the other hand suggested Dolika, I thought he was throwing in some humour. I thought he meant Dolika Ndaifulila could do a better job.